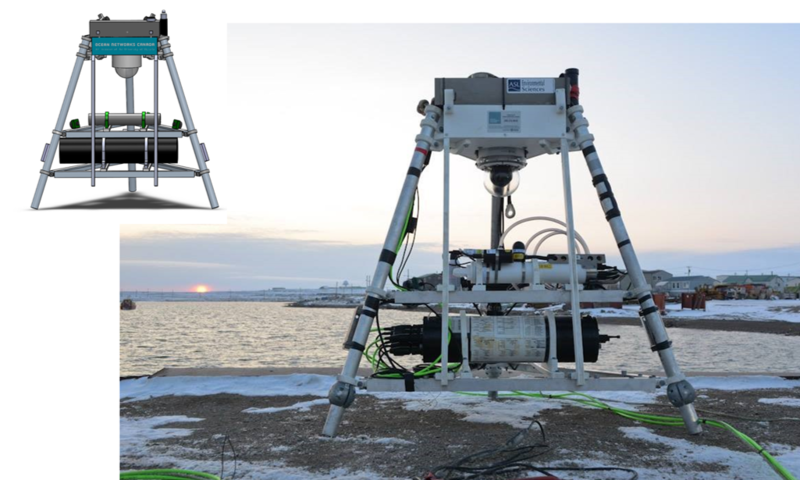 The Cambridge Bay Observatory is the first location in Canada’s Arctic for year-round, continuous undersea monitoring of the environment. 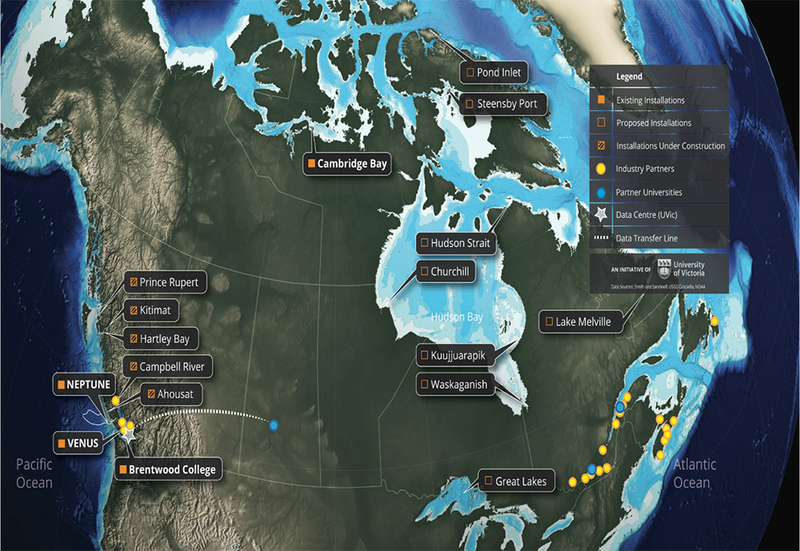 It offers science-based support for greater understanding and protection of the fragile arctic marine ecosystems. 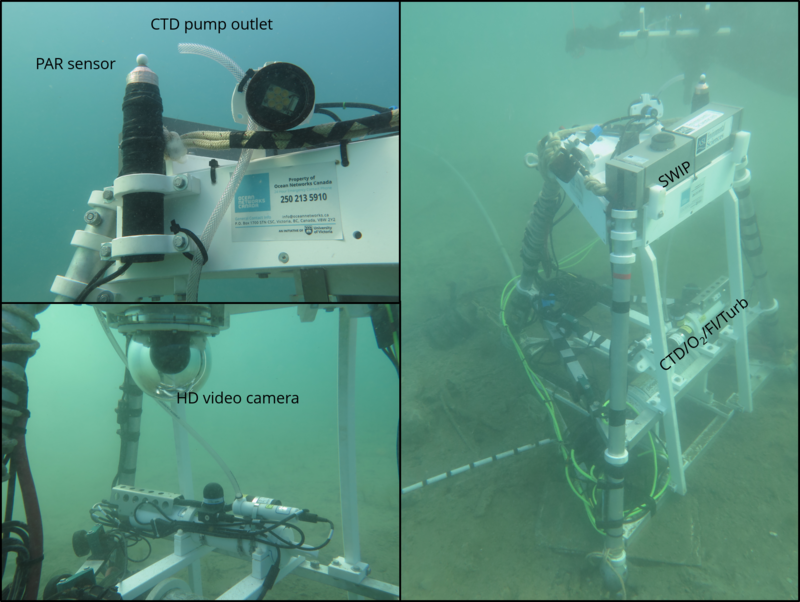 Data streaming from the instrument platform includes HD underwater video and acoustics, water properties, and ice thickness. On the surface, a camera monitors ice formation and a weather station provides meteorological data. 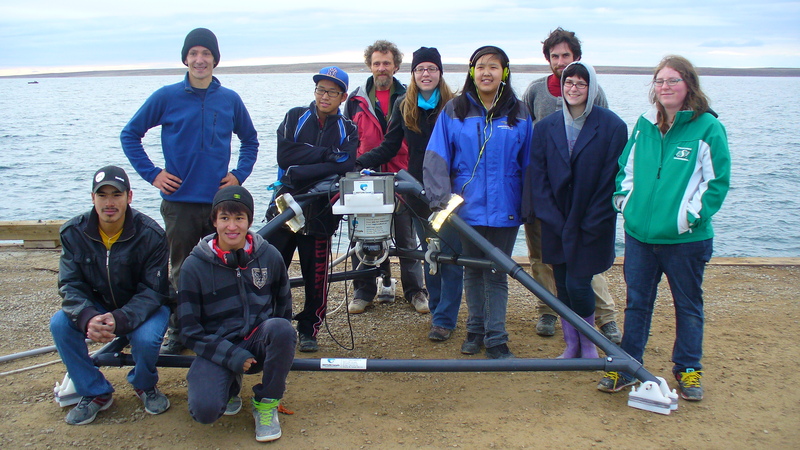 A high-resolution time-series of both seawater and meteorological measurements made by instruments at the Cambridge Bay Observatory (CBO) started in September 2012 and continues to the present day. 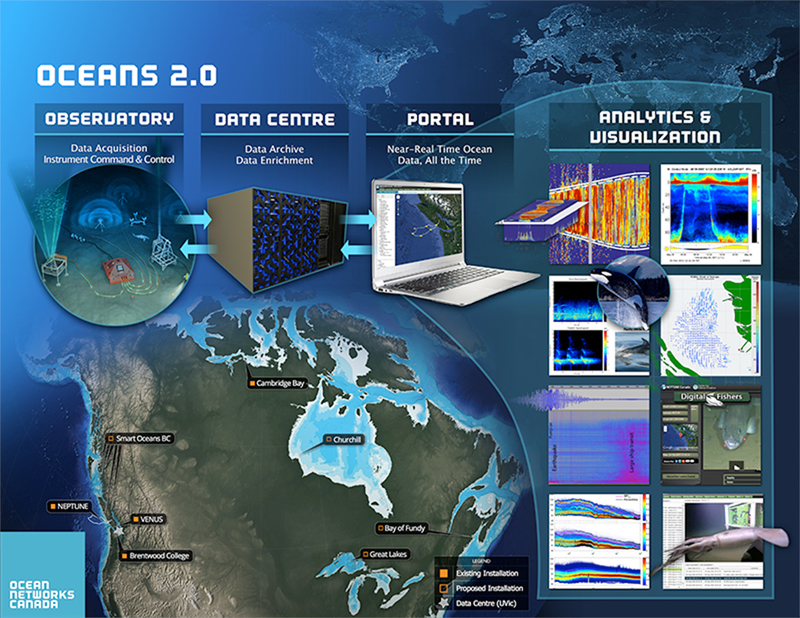 Data from the CBO sensors have been used in a variety of ongoing research projects: 1) Development of ice and ice melt: numerical modeling; 2) Characterization of the under-ice and post-melt phytoplankton bloom dynamics; 3) Tracking of tagged fish in collaboration with the Ocean Tracking Network.  Operational Sea-Ice Forecasting; pCO2 and pH sensors for improved arctic understanding; Characterization of microbial community annual cycle response to methane pulses. 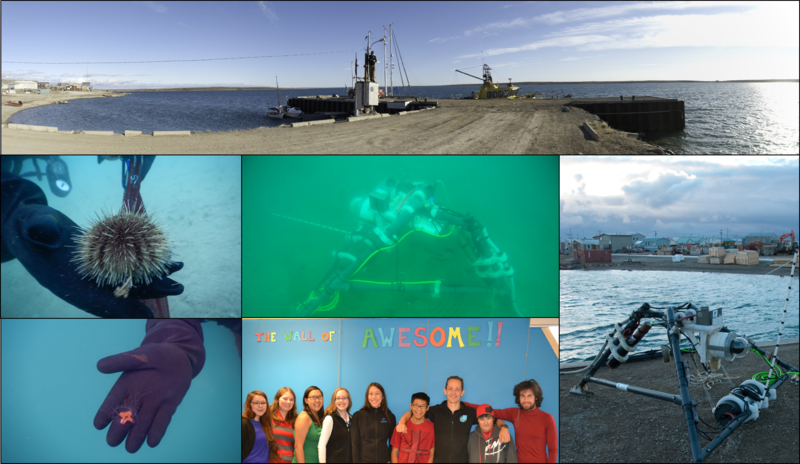 Ocean Networks Canada's dive team in Cambridge Bay, Nunavut, 21 September 2014.